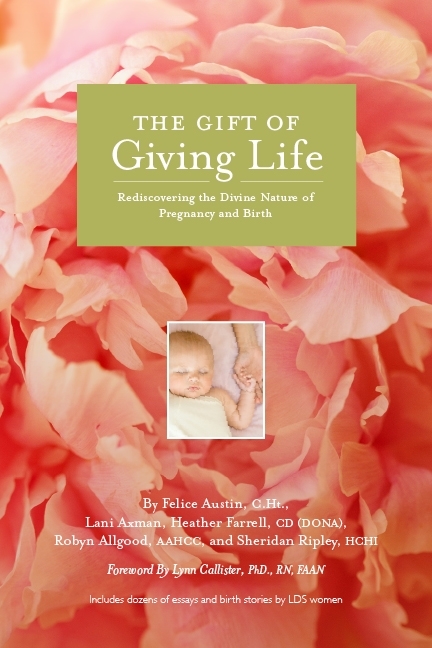 Being now in the third trimester of my 6th pregnancy, I have been focused on birth preparation. One of the ways I am preparing for my birth is creating a sacred, peaceful, healing space within my bedroom. My plan, for this time, is to give birth at home, so it has been possible to prepare that space far in advance. For this I am grateful. Next to the place where I intend to set up a birth pool for labor is an old antique steamer trunk I purchased second-hand several years ago. Ever since we moved into this house last summer, one of my favorite pictures of Jesus Christ as well as a photo of my grandmother have been sitting on this trunk in my bedroom. Slowly I have begun adding other items to the trunk surface that I would like to have within my view as I labor to give my baby life. My first addition was some potted plants… because plants make me happy. This afternoon as I recalled singing the hymn “O My Father,” the thought occurred to me that it didn’t have to be the only hymn mentioning Her. Singing about our Mother could be a really special way to feel more connected to Her. So I started looking through other hymns and church songs, looking for places where She could be inserted. Below is a collection of those song excerpts with Mother included. Completing this little project was kind of magical and beautiful. I can’t wait to sing praises to Her. I know my Mother lives and loves me too. It is the name of Mother. With Her their spirit life began. They are a part of Her eternal plan. To guide and teach, protect and love. And help to guide them back to Her above. How dear to Mother are Her children. The homes in which Her children dwell. And, knowing Her, may grow in grace. And lets us feel Her love. Mother, tell me the story that I love to hear. When our Mother we shall see! To our Mother and our Queen! Alleluia! Oh, praise Him[Her]! Alleluia! Love this post. I pray your birth is peaceful and you feel surrounded by Heavenly Mothers love.